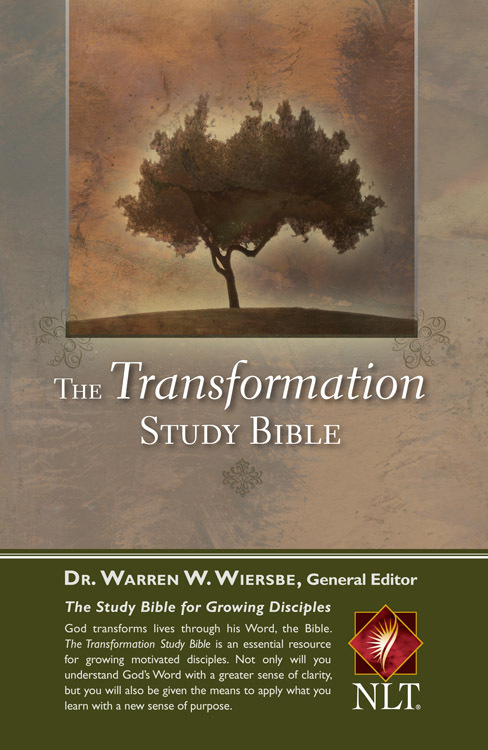 The Transformation Study Bible was created to help readers better understand the timeless truth of God’s Word, how it can transform their lives by explaining what the Bible means through commentary and accompanying notes from Dr. Warren Wierbse, and how to apply it with a new sense of purpose. God transforms lives through His word and the Transformation Study Bible promises to be an essential resource for growing, motivated disciples. Not only will readers understand God’s Word with a greater sense of clarity, but they will also be given the means to apply why they learn with a new sense of purpose. NLT Transformation Study Bible: Hardback by Warren W Wiersbe was published by David C Cook in May 2009 and is our 18825th best seller. The ISBN for NLT Transformation Study Bible: Hardback is 9781434765277. Be the first to review NLT Transformation Study Bible: Hardback! Got a question? No problem! Just click here to ask us about NLT Transformation Study Bible: Hardback.